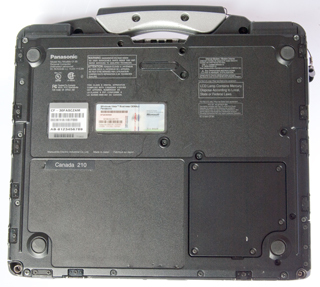 I liked the CF-28 Toughbook, but it did not have built-in WiFi and the GPS did not work. By removing the WiFi (PC) card while it was powered up the PCMCIA card slot was killed (maybe a motherboard problem) although the rest works OK. 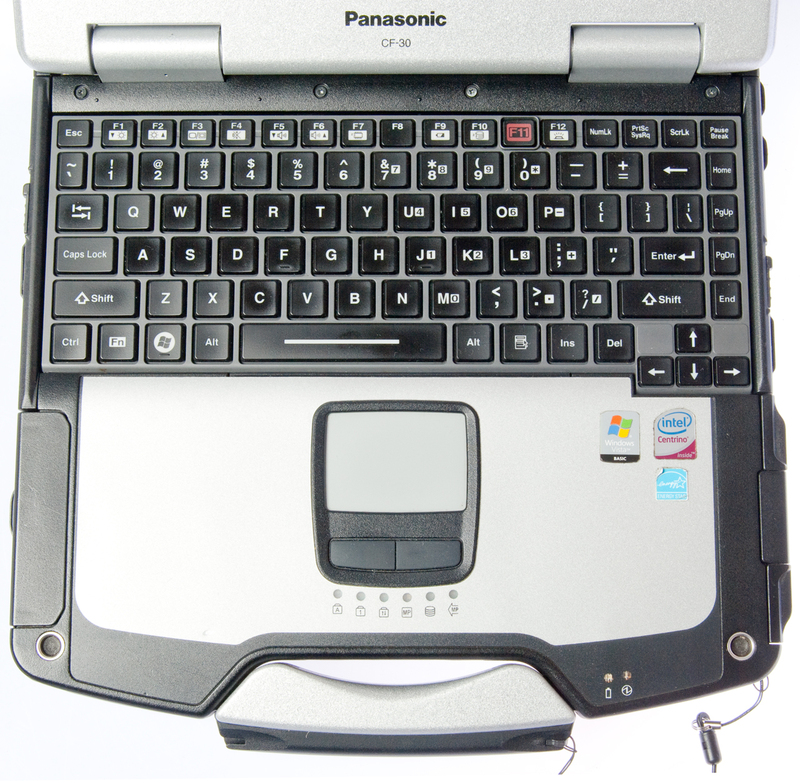 Note the PCMCIA is one of the Plug and Play interfaces (Wiki) and it's also hot swappable, meaning it's OK to install or remove it when power is applied. For cards that contain memory, like removable drives, you should do the safe to remove system tray icon thing to protect the data on the card. 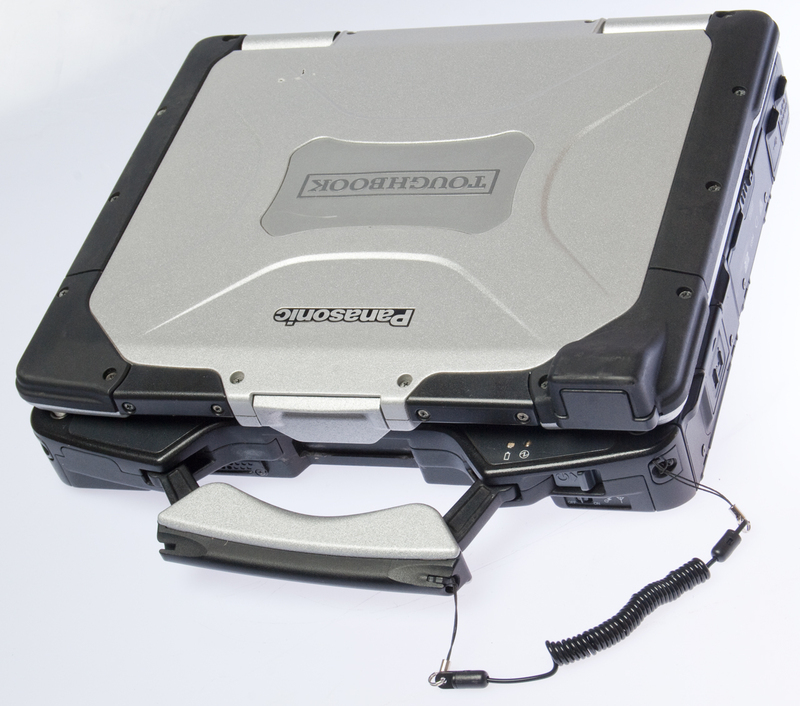 The CF-31 is a newer Toughbook. The general apperance is very similar. Note 1: My desktop computer is limited to WIN XP SP2 because SP3 does unacceptable things to the graphic card. This may be the case with the CF-30 limitation to SP2. Note this drive is about 3/8" tall and comes out without the Exprss Card and PCMCIA (now called PC) card slots. When trying to load programs from the manufacturer's CDs and using My Computer and the optical drive there was nothing shown. 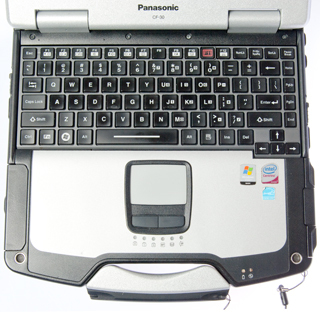 The in computer Reference manual and first level tech phone support 1(800) LAP-TOP5 said there should be a pull tab in the lower right of the DVD MULTI drive, but I could not see it. An email with a link to Fig 3 above generated a reply saying the pull tab was broken off. It suggested pulling the drive out by the DVD tray, but I opened the drive (either by pressing the button when Windows is running, or using a paper clip in the hole next to the button). But after opening the DVD tray I could see the metal frame (upper center in Fig 10 above) and so pulled on it sing needle nose pliers. The email suggested defaulting the BIOS (with save at exit) and then opening Windows, inserting the drive, powering down and rebooting. But first I just manually pushed the drive in while Windows was running and that fixed it. 17 April 2013 - replaced the drive with a new one. 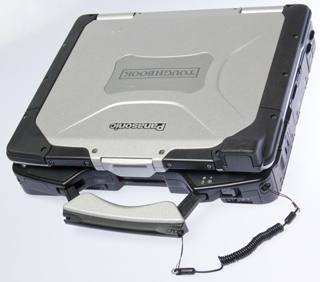 The Toughbook web site only mentions Mark 1 for the CF-30C/D. Note: All op systems are 32 bit. The CF-31 supports 64 bit op systems. 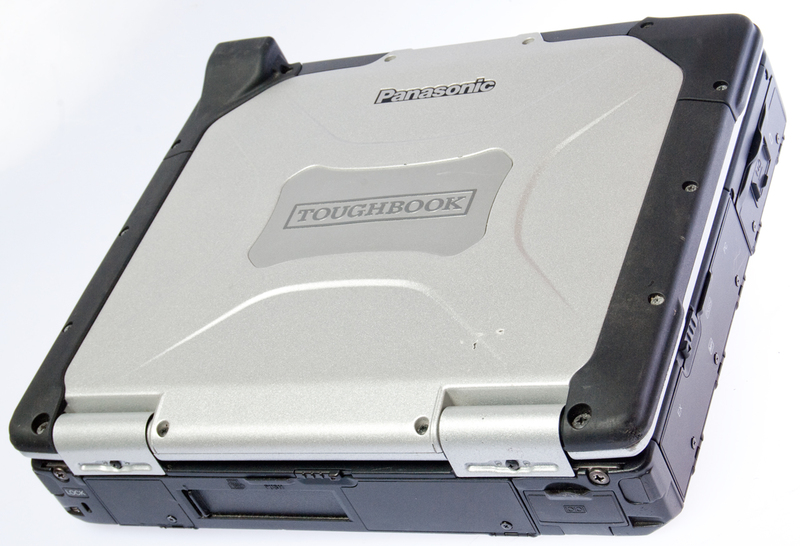 Table based on info on the Toughbook drivers page. I've upgraded to SP3 without any problems. 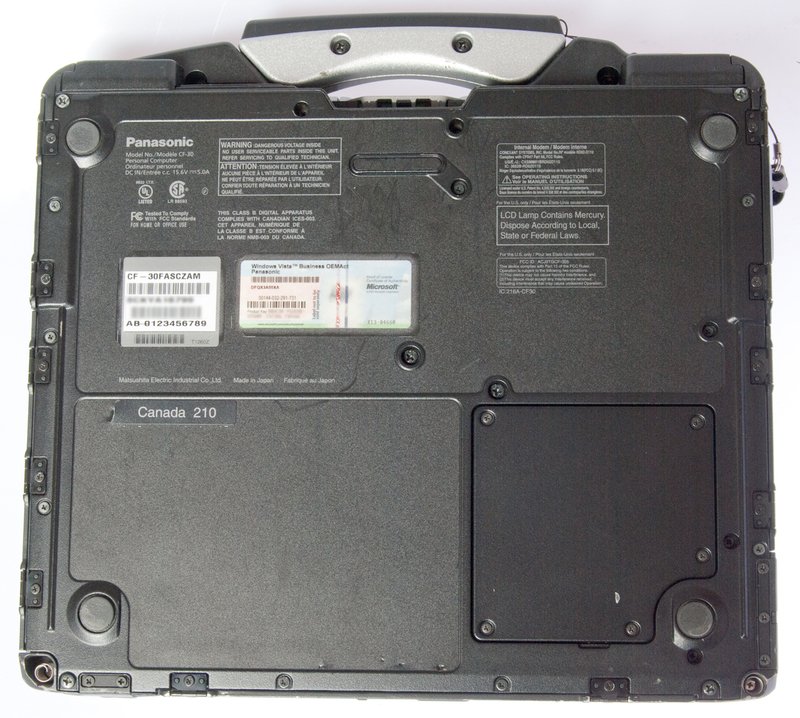 While looking for the Mark information I noticed that the data sheet says there's a replaceable protective cover on the LCD. Mine has a couple of deep gouges and so I'm in the process of finding about replacing it. 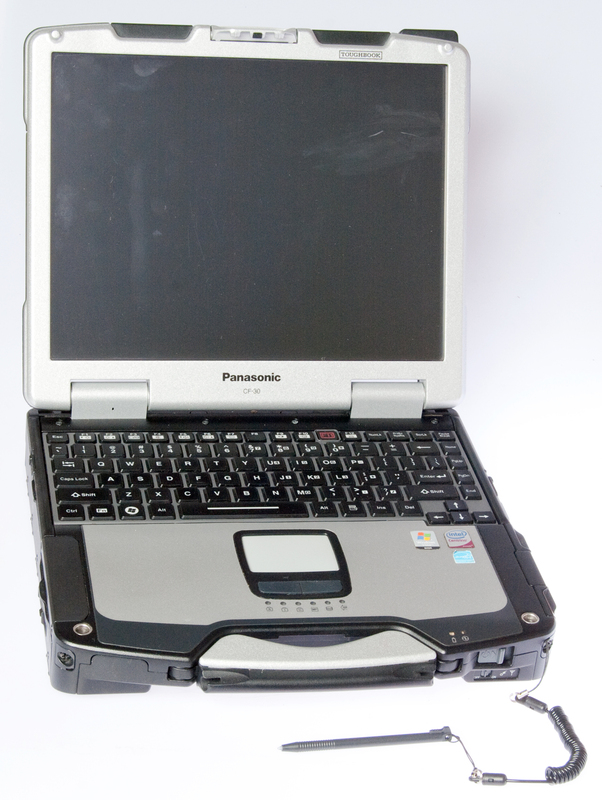 As delivered and on the Toughbook web page for the CF-30 they say WIN XP SP2 is supported (not mentioning SP3). My old desktop computer will not run properly with SP3, something related to the drivers for the ATI video card. So it looked like this computer had some limitation. But . . .
Tech support says it's OK to install WIN XP SP3 on the CF-30. This is great because the Nikon software I want to use requires SP3. Installed SP3 and everything seems fine, also got a bunch of automatic updates. I think as of Jan 2012 SP3 is still supported for updates, but not SP2 or earlier versions of WIN XP. Note: When Microsoft came out with Vista many computers (this one and my ASUS laptop) came with that operating system. But most people did not want it. So the product key for Vista can also be used for the parallel version of WIN XP and that's what was done when I bought the ASUS new in Taiwan and what the seller has done on this CF-30. [an error occurred while processing this directive] page created 21 Jan 2012.